To the northwest of Dijon, the Châtillonnais is almost exclusively dedicated to sparkling Crémant de Bourgogne wines. 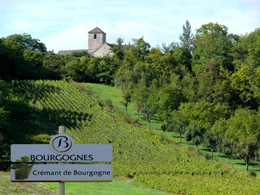 The region’s winemakers also make a wide range of convivial Bourgogne appellations. In Châtillon-sur-Seine, discover the biggest tastevin in existence! Châtillon-sur-Seine, a carefully preserved town of 7,000 inhabitants, is traditionally known as “La Cité du Vase de Vix.” A fabulous treasure remains from the region’s Celtic past, discovered in 1953 in a princely tomb. Dating from the sixth century BC, this giant tastevin, which was used for serving wine, is 1.64m high and weighs 206.8kg. It has a capacity of 1,100 liters and was filled with wine which was then served to guests during ritual celebrations or festivities – a St. Vincent before its time! Before the vines, wine was already present in Bourgogne! Old documents tell us that there have been vines in the Châtillonnais for more than 2,000 years. Between the Carolingian era and the 19th century, production grew and the wines of the Châtillonnais developed a fine reputation. In the mid-20th century, after three wars, the phylloxera crisis and various economic upheavals, the vines were in decline. Winemaking in the region finally took off once again in the 1980s, thanks to the determination of local winegrowers. Today, this region covers around 250 hectares, 70km to the northwest of Dijon and 45km to the east of Tonnerre. You are here, in the kingdom of the Crémant de Bourgogne, a sophisticated sparkling wine available in both white and rosé. Some 23 communes of the Châtillonnais produce Bourgogne wines. The vines, which face south-southeast, enjoy good summer and fall sunshine, which encourages the grapes to ripen. With their roots plunged deep into hard limestone soil, the vines produce wines with subtle aromas. 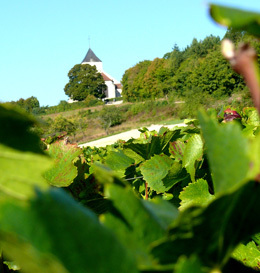 On this historic land (Molesme was headquarters of the abbey founded by Robert, which was also at the roots of the abbey of Cîteaux in the 11th century), the Pinot Noir and Chardonnay varietals reign supreme. The winemakers also produce Gamay and Aligoté wines. These varietals are used to produce many Crémant de Bourgognes. To discover the wines of the Châtillonnais, you can also try the region’s Bourgogne red wines that are fresh and convivial with their purple color, and its whites, which offer good minerality and sophisticated aromas of citrus and honey with lovely sunny tints.